Are you, by chance, feeling stressed? Have you spent a long day trying to juggle more than you can handle? Does it feel like a storm of worries is spiraling through you? Are you barely breathing? Do your shoulders ache? Is your spirit sagging? Instead of heading for the snacks or the television, consider settling into the restorative twist Salamba Bharadvajasana (supported Bharadvaja’s twist). 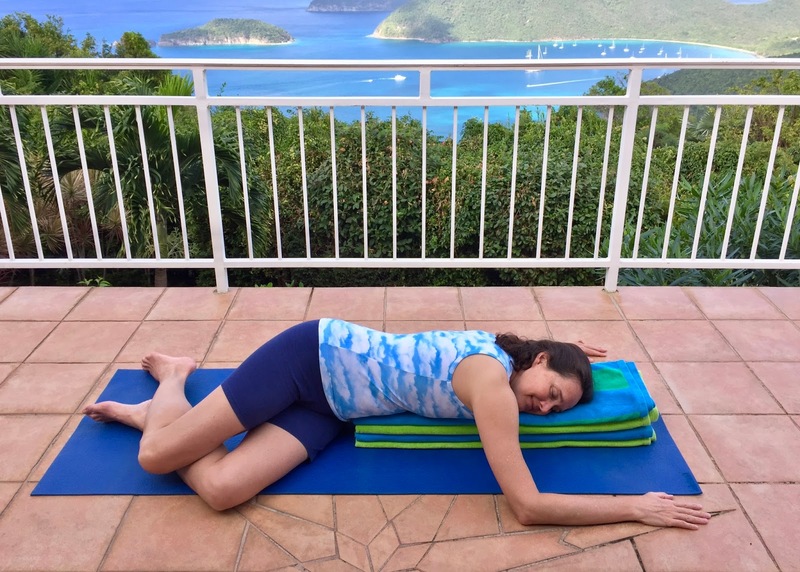 This sweet and soothing posture stretches the back, cleanses the abdominal organs, and nudges the breath toward a state of calm. It also has the power to melt anxieties and generate a profound state of ease in your being. 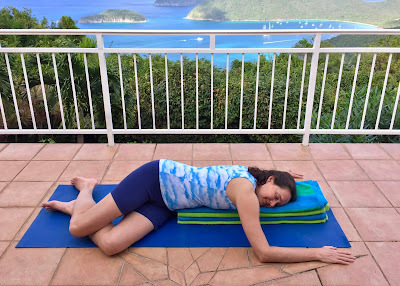 Because it is a forward-bending twist, Salamba Bharadvajasana is not appropriate for pregnant women and may not be a good pick for those with lower back ailments. As with any yoga posture, if practicing it brings discomfort rather than relief, seek the guidance of an experienced yoga instructor.